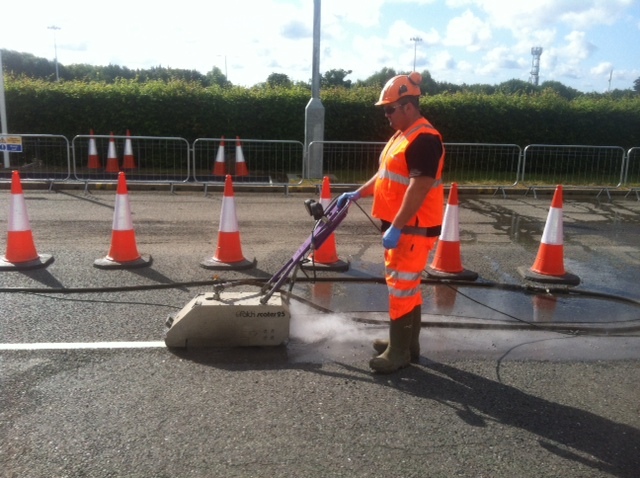 During early summer our services line removal services were required outside of a UK airport. 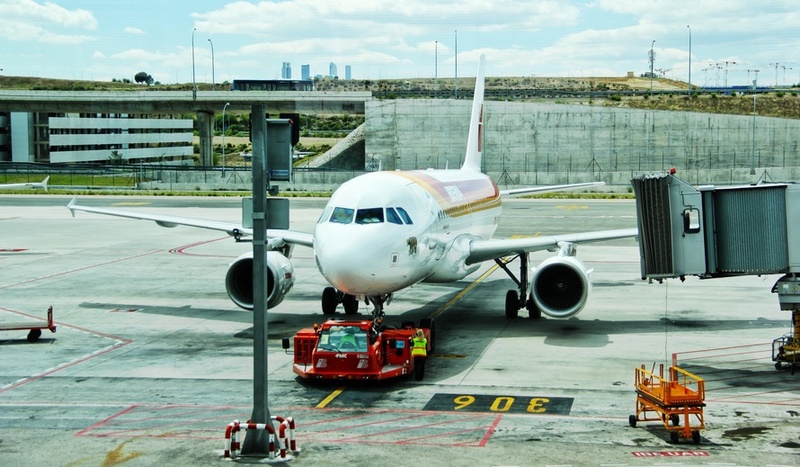 The busy airport welcomes thousands of passengers daily so the line removal task needed to be as low key as possible to ensure no delays or safety issues between the road and the front door. Our client specifically required the use of only small mobile units to work at the front entrance drop off zone and asked for no large HGV trucks. to be present. At Hydroblast we have a large fleet of vehicles – small, medium or large – allowing us to only bring equipment which we needed. The use of only small mobile units does not limit us in the amount of equipment or power needed to complete the task. We were asked to remove quite a lot of linear metres within a short time frame. Because we had a time constraint for this task, we choose to use 2no Ultra High Pressure Units which were pulled behind Sprinter Vans to speed up the process. Many jobs which we take on require a couple of machines to be used to ensure the final outcome is finished to a high standard. For this operation, as well as the 2no UHP units, we used the Scater 25, Twister 30, and 16 inch sapphire tips. The addition of the sapphire tips allows for high quality line removal whilst ensuring there is minimal damager to the Tarmac surface. We successfully removed thousands of linear metres of lines, arrows, parking bays and double yellow lines in a short space of time. Our time efficiency was the key to success with completing this project. 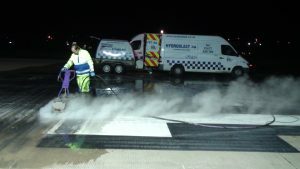 Our quick work allowed us to complete the job to a high quality whilst ensuring there was minimum disruption to the Airport traffic.